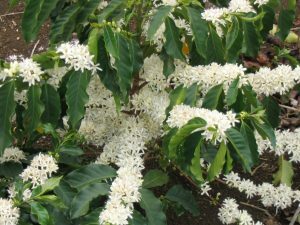 The 10th Annual Kona Coffee Expo happens today from 10 am to 3 pm at the Old Airport Pavilion in Kailua-Kona. This event is focused on helping growers get the information, supplies and services they need. 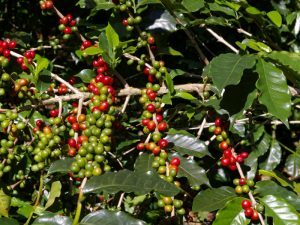 Special guest speakers and coffee tastings! Beyond Organic Consulting will have a booth offering show specials, so come and “talk story”. 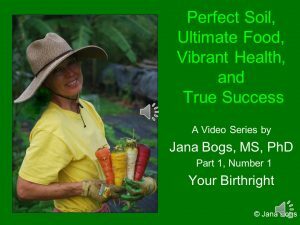 “Perfect Soil, Ultimate Food, Vibrant Health and True Success” online, interactive course is set to start on May 1. If you register this week you will receive a 30% discount, but you must contact my office directly by calling (808) 938-9888 or by emailing info@BeyondOrganicResearch.com. So reserve your spot in the course and take advantage of the early registration discount by signing up today! I look forward to helping you grow the best food ever! Does your spirit soar? Or do you feel exhausted and like something is missing? If so, I have a special treat for you! I’m honored to be a featured speaker amongst 21 amazing spiritual leaders who will be sharing with you information for life transformation. Fill yourself up each day with positive messages! You just need to know how to make that powerful shift in your life. That’s why I’m excited to invite you to Rev. 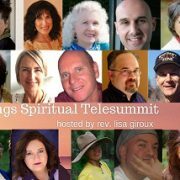 Lisa Giroux’s All Things Spiritual Telesummit! The summit kicked off on August 1st, but it’s not too late to catch many free interviews and free gifts from the presenters! Each day at 6am Hawaii Time (9am PST, 10am MST, 11am CST, 12pm EST) you’ll receive a link to that day’s interview! So come and join me to hear more, and learn my action steps for building up YOUR spiritual self. P.S. If you missed an interview, not to worry! You can grab your Lifetime access pass and enjoy all the summit interviews–no limitations! Patterned after the Avocado and Mango Festivals, Going Nuts for the Holidays! promises fun for all! 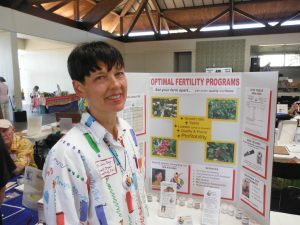 This FREE event is being held at the Keauhou Sheraton Convention Center. Dr. Bogs has been invited to speak on Keeping the Culture in Agriculture, and sign her books in the Authors’ Corner. Mark your calendar! A hui hou! http://beyondorganicresearch.com/wp-content/uploads/2017/06/bor-logo.jpg 0 0 Dr. Jana Bogs http://beyondorganicresearch.com/wp-content/uploads/2017/06/bor-logo.jpg Dr. Jana Bogs2015-10-10 14:35:572015-10-10 14:35:57Going Nuts for the Holidays! Fun event in Kona!